My main interest is in writing historical novels. 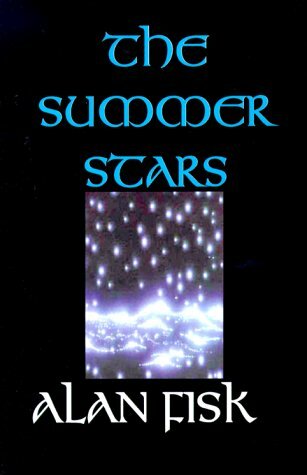 I have had five historical novels published: The Strange Things of the World in 1988, The Summer Stars in 1992 (republished in 2000), Forty Testoons (republished in 2007) in 1999, Lord of Silver in 2000, and Cupid and the Silent Goddess in 2003. A free download of my fourth-century Roman Britain novel Lord of Silver. In the Museum of London is a Roman roof tile bearing the scrawled words "Austalis has been going off by himself every day for thirteen days". In the nearby countryside of Kent is the beautifully-preserved Lullingstone Roman villa, with its magnificent wall paintings, mosaic floors, and the earliest known private Christian chapel in Britain. In 366 A.D. Austalis, a young warrior from beyond Hadrian's Wall, passes through the frontier of Roman Britain. Austalis finds a home, a betrothed wife, and a respected status in Roman Britain, but loses everything and takes a terrible revenge at great cost to all that he loves, to Rome, and to himself. "...a strong whiff of authenticity" (The Historical Novels Review, May 2001). 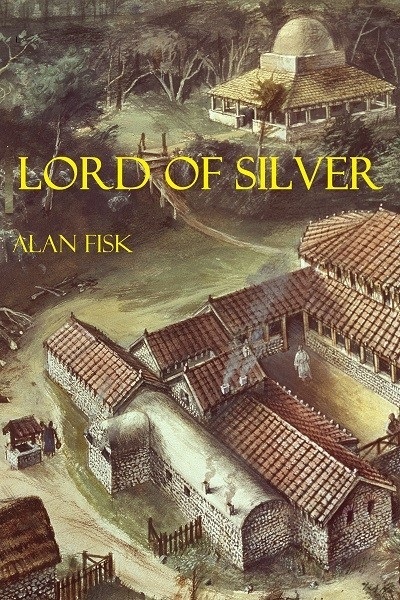 I am reissuing Lord of Silver, first published in 2000, in a slightly revised version as an ebook, which you can download entirely free of charge. Read the revised first chapter of Lord of Silver. A full review of the original edition of Lord of Silver. You can download this new ebook version as a PDF file. You can also download this new ebook version as an EPUB file. As a third option, you can download the ebook as a MOBI file for Kindle. In 1504, King Henry VII of England paid a priest to go and minister to the fishermen in "the new isle". 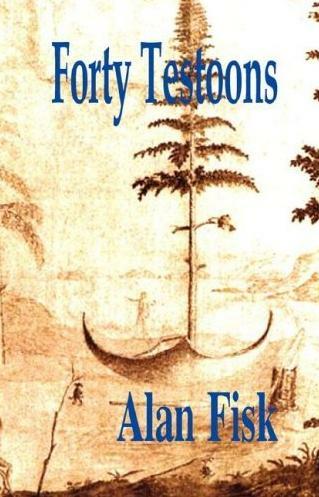 Forty Testoons tells the story of the young Father Ralph Fletcher's winter in Newfoundland. Ralph also appears in my latest historical novel, Cupid and the Silent Goddess, set in Florence 40 years later, as Father "Fleccia". "...a fascinating story of intrigue that holds the reader's attention" (The Historical Novels Review, February 2001). You can order Forty Testoons in England from the Book Depository. It is also available from Amazon. You will need Adobe PDF Reader. If you don't already have it, you can download it free from this site. My most recent historical novel Cupid and the Silent Goddess is about an artist's apprentice in sixteenth-century Florence who saves an autistic young woman from exploitation. In Cupid and the Silent Goddess they appear as the models for Cupid and Venus in the painting Allegory with Venus and Cupid by Bronzino in the National Gallery, London. "...a fiction which is as intriguing as the painting itself... an excellent read" (The Historical Novels Review, February 2004). "Well-crafted, witty and instructive, it is a brilliant, imaginative novel" (Boheme, January 2005). 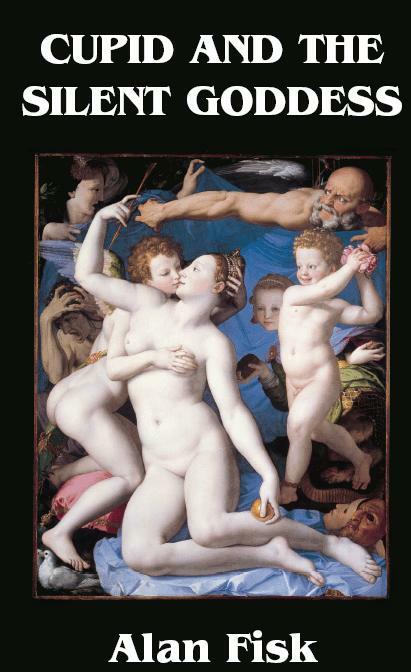 "Fans of authors such as Susan Vreeland and Tracy Chevalier who enjoy these what-if forays into art history will also enjoy Alan Fisk's imaginative story about how the painting 'Allegory with Venus and Cupid' came into being." (Copperfield Review, May 2005). "I was engaged by this novel from beginning to end." (The Romance of History, April 2007). "I recommend this book very highly if you enjoy historical novels that bring history to life. It brought me into the 16th century Florentine life, with all its warts, humanity, politics and art. A very enjoyable read." (Candida Martinelli, Italophile Book Reviews, January 2014). For more information about Cupid and the Silent Goddess, including how to order it, see: the publisher's website. "A story with strong holding-power, which kept me reading until much too late every night." (Rosemary Sutcliff). "...a well-written, engaging blend of history, fiction, and memoir." (The Historical Novels Review, February 2001). My novel The Strange Things of the World tells the story of what has been called "the world's first tourist cruise", when in 1536 a group of London scholars and merchants, eager to see "the strange things of the world", chartered two ships to sail across the Atlantic to Cape Breton Island and Newfoundland. "One of the best books of its type to be published locally." (Newfoundland Herald). "This is what we ask of historical fiction." (Atlantic Provinces Book Review). 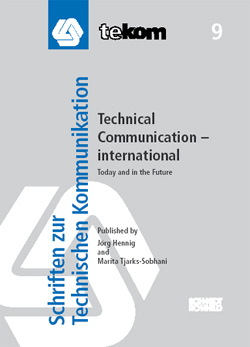 I contributed a chapter to Technical Communication - International, which was published by the German technical communication society tekom. I contributed the Introduction to the 50th. 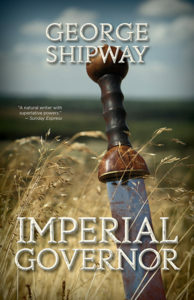 anniversary edition of George Shipway's Imperial Governor.